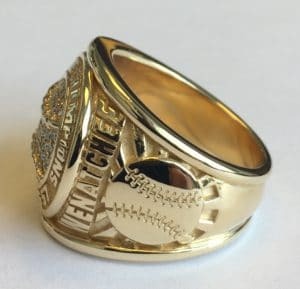 I was honored to assist a client in the re-creation of his Dad’s baseball award ring from 1957. The good ole Wenatchee Chiefs beat the Eugene Emeralds that year to become the league champs. Well, champions deserve championship rings! Being the baseball nut I am, I couldn’t wait to “play ball” and get started with this redesign project. By using CAD technology we were able to create in intrinsic detail, right down to the stitches on the ball. Slightly tapering the wording on the side was my client’s suggestion, what a great idea! 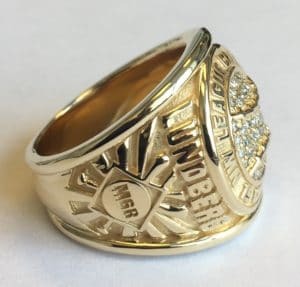 Now, his dad still had the original ring—-it was just a bit “tired,” so the notion was to make it more current in size by scaling it up a bit, personalize the points of wording on the ring, and add a few diamonds. 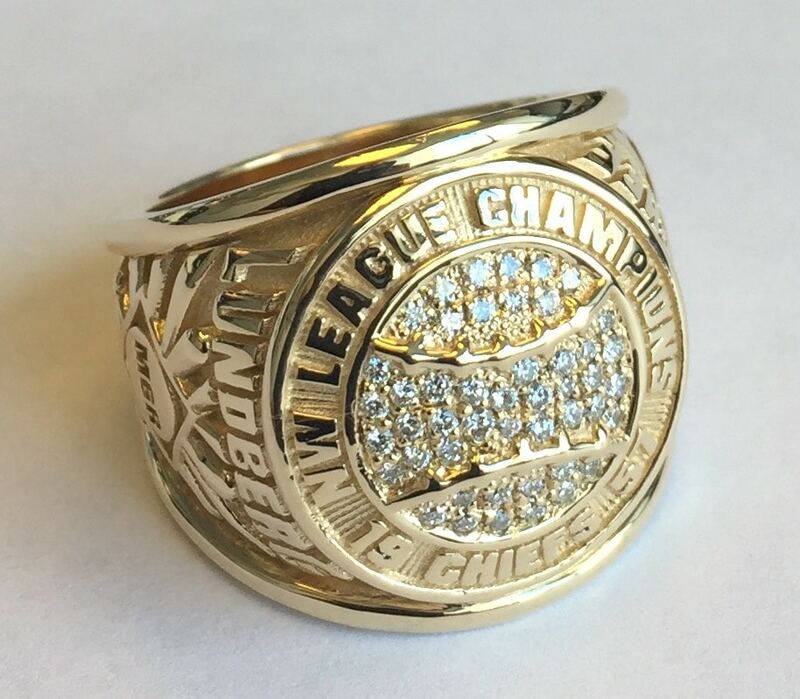 Also, we were able to re-purpose the gold from his original ring into the new design. That is good energy, now isn’t it? To arrive at the point of final design, the champion’s son and I communicated via email many, many wonderful times to go over all the fine aspects of design including the capture of the perfect baseball symbol (with stitches) and to create the ideal lettering font. My client suggested graduating the lettering size on the sides of the ring, what a brilliant idea as by doing so it filled the space nicely. Finally, adding the diamonds to the top of the ring gave it that “Wow!” factor and really set off the text on the front. The ring is amazing. So is the son. Play ball!